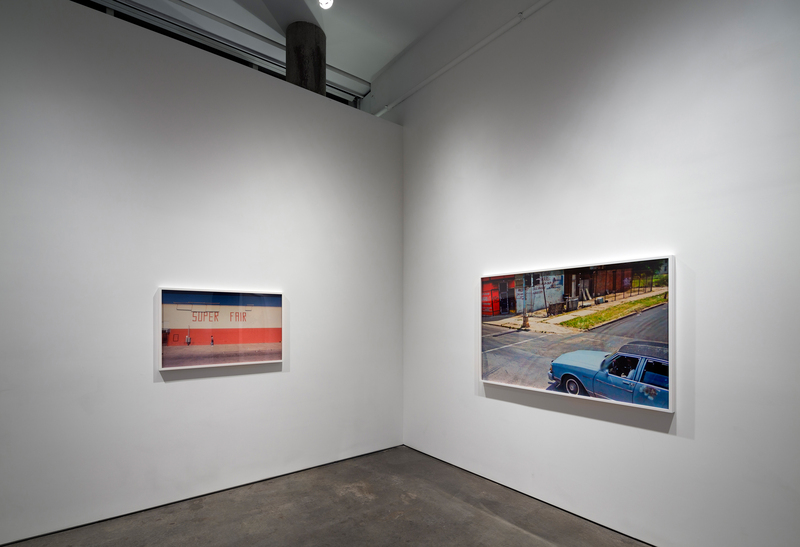 Yossi Milo Gallery is pleased to present A New American Picture , an exhibition of color photographs by Doug Rickard. The exhibition will open on Thursday, October 18 and will close on Saturday, November 24. An artist’s reception and book signing to celebrate the release of his new monograph, A New American Picture , will be held on Thursday, October 18 from 6:00 – 8:00PM. 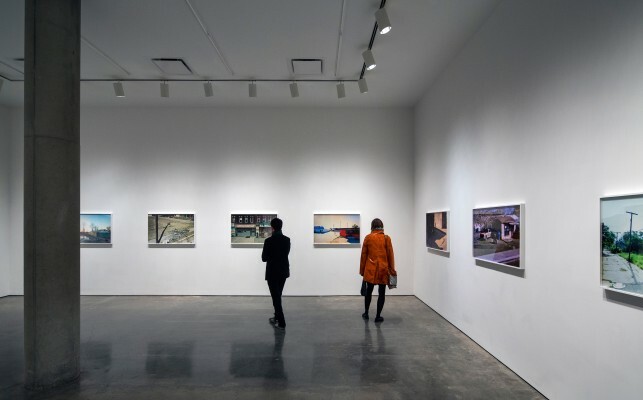 This is the artist’s first solo show in New York City. 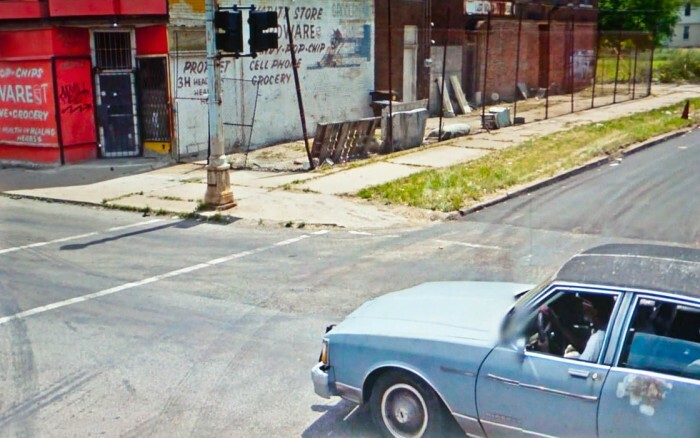 A New American Picture depicts American street scenes, located using the internet platform Google Street View. 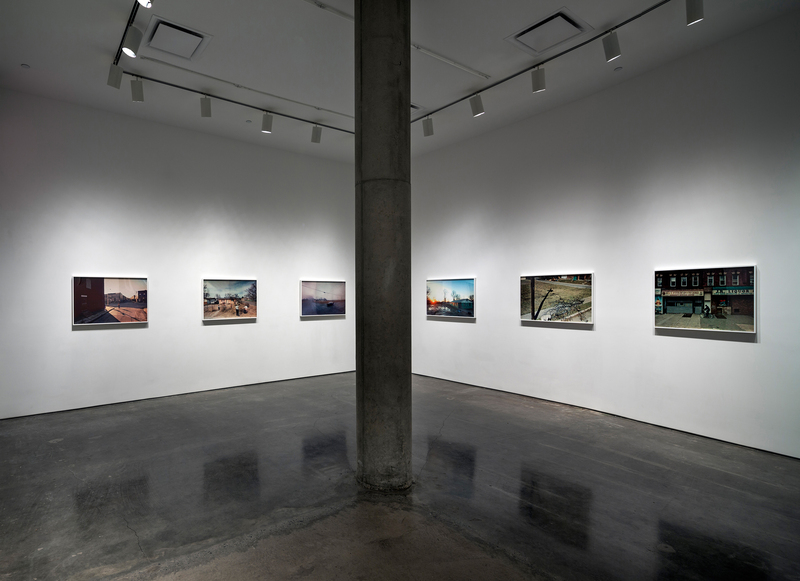 Over a four-year period, Rickard took advantage of Google’s massive image archive to virtually explore the roads of America looking for forgotten, economically devastated, and largely abandoned places. After locating and composing scenes of urban and rural decay, Rickard re-photographed the images on his computer screen with a tripod- mounted camera, freeing the image from its technological origins and re-presenting them on a new documentary plane. 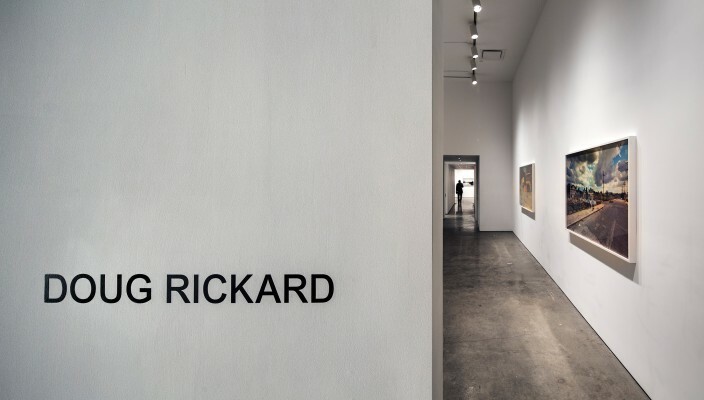 The low-resolution images that Rickard favors have a dissolved, painterly effect, and are occasionally populated with figures who acknowledge the camera, but whose faces are blurred, masking their identity. The photographs are thus imbued with an added surrealism and anonymity, which reinforces the isolation of the subjects and emphasizes the effects of an increasingly stratified American social structure. Rickard’s work evokes a connection to the tradition of American street photography, with knowing references to Walker Evans, Robert Frank and Stephen Shore. 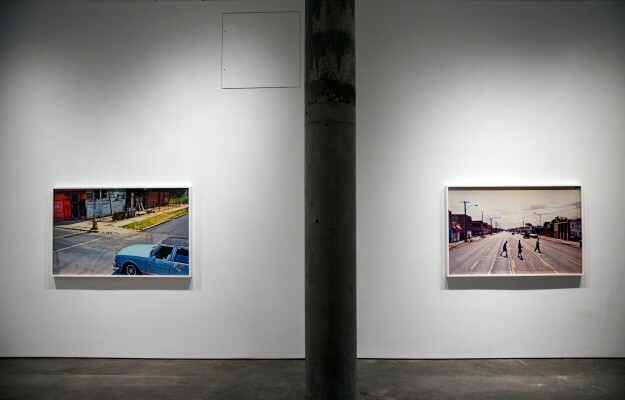 He both follows and advances that tradition, with a documentary strategy that acknowledges an increasingly technological world—a world in which a camera mounted on a moving car can generate evidence of the people and places it is leaving behind. Collectively, these images present a photographic portrait of the socially disenfranchised and economically powerless, those living an inversion of the American Dream. 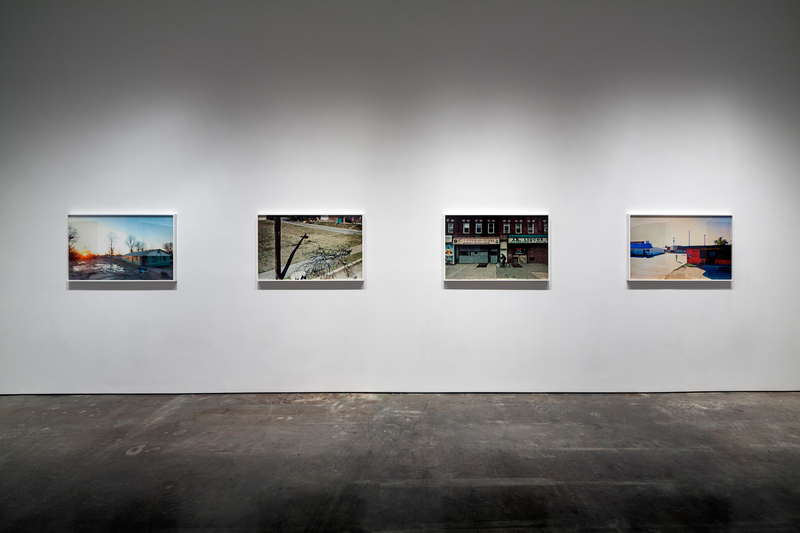 Photographs from A New American Picture were included in the New Photography 2011 exhibition at the Museum of Modern Art, New York. Presentations of the series have also been featured at various venues, including Le Bal, Paris, in Anonymes , curated by David Campany and Diane Dufour; Pier 24, San Francisco, in HERE ; and the 42nd edition of Les Rencontres d’Arles in From Here On , curated by Clément Chéroux, Joan Fontcuberta, Erik Kessels, Martin Parr and Joachim Schmid. A limited edition monograph of A New American Picture was published by White Press/Schaden in 2010. The trade edition was released in September 2012, co-published by Aperture Foundation, New York and Koenig Books, London. Doug Rickard is the founder of American Suburb X and These Americans , aggregating websites on contemporary photography and American historical and cultural photographic archives. He was born in San Jose, California, in 1968, and studied History and Sociology at UC San Diego, receiving his BA in 1994. The artist currently lives and works in Northern California.